Fr Marcus Holden, was born in Chorley. I am a ‘cradle Catholic’, and both my parents are Catholic. My father is very much from the English recusant tradition. My mother, although born and brought up in Bolton, has ancestry from Ukraine and Hungary. When I was seven years old we moved to Pembrokeshire in Wales. This became a second home for me and my parents and brother (who still live in and around the beautiful Saundersfoot/Tenby area). In 1996 I moved to Oxford to read Theology at the University. When completing my studies in 1999 I applied to start formation for the priesthood with the Archdiocese of Southwark. After graduation Archbishop Bowen sent me to study in Rome at the Venerable English College and the Pontifical Gregorian University. My academic specialisation was in the History of Theology. I was in Rome for six years of training and preparation, of philosophy and theology, before being ordained as a priest by Archbishop Kevin McDonald on 10th September 2005 at St Joseph’s, New Malden (where I had a base in the diocese for several years). 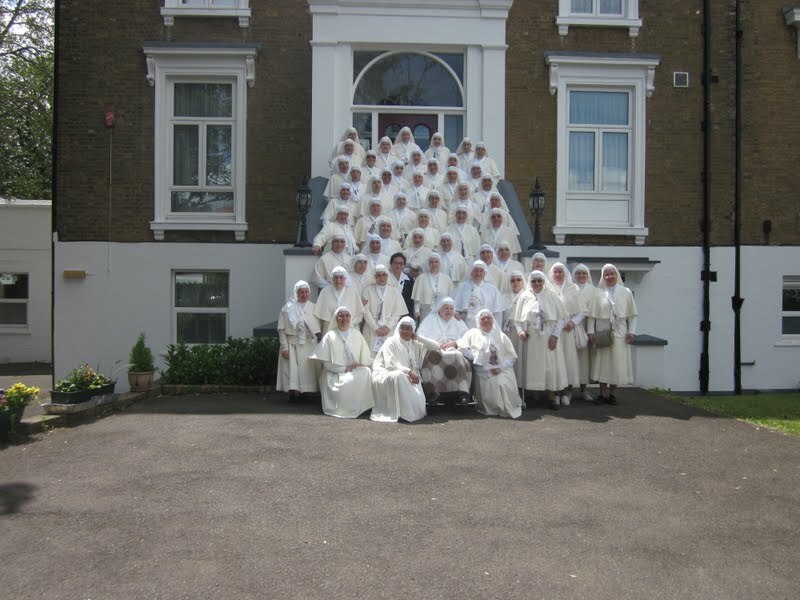 Every diocesan priest is called to be an all rounder – striving to care for parishioners through the Holy Mass and sacraments, teaching and preaching, administration, prayers and devotions, meetings, spiritual direction and visits. At the same time every priest will have a particular area of interest and focus. My passion is for catechesis and teaching. In this vein I helped set up St Anthony Communications (www.saintant.com) and the Evangelium Project (www.evangelium.co.uk) and I work with the Maryvale Institute and the Catholic Truth Society. One of my main apostolates is in creating written and multimedia resources for the promotion and explanation of the Catholic faith. A major interest I have is in English Catholic history in general and in the English saints in particular. In 2004 I edited a book called Saints of the English Calendar which celebrates our national heroes of faith. It will come as no surprise, therefore, that I was delighted to discover the fascinating Catholic history of Clapham Park with the stories of Miss Ellis and Cardinal Bourne and especially the dedicated to St Bede, who is the father of English ecclesiastical history. I hope to also build on the inspiration of St Bede here in the promotion of Catholic education and the formation of Catholic culture. Fr Christopher Basden, born in Egypt in 1952 of a Texan Baptist Father, working for Mobil Oil and an English Catholic Mother (Glencross). He lived most of his young life in Iran (Persia); Khuzestan (Elam 1957-1967) and Tehran (1967-1971). He was educated, among other places, at the Salesian College in Beirut and Georgetown University, Washington D.C. where he studied History and Theology. After an experience with the Monks of Parkminster, he prepared for the priesthood at St John's Seminary, Wonersh and was ordained at Sacred Heart, Wimbledon on December 15, 1979, by the Most Reverend William Barden, O.P., Archbishop of Isfahan of The Latins (whom he had known as a child in Persia). 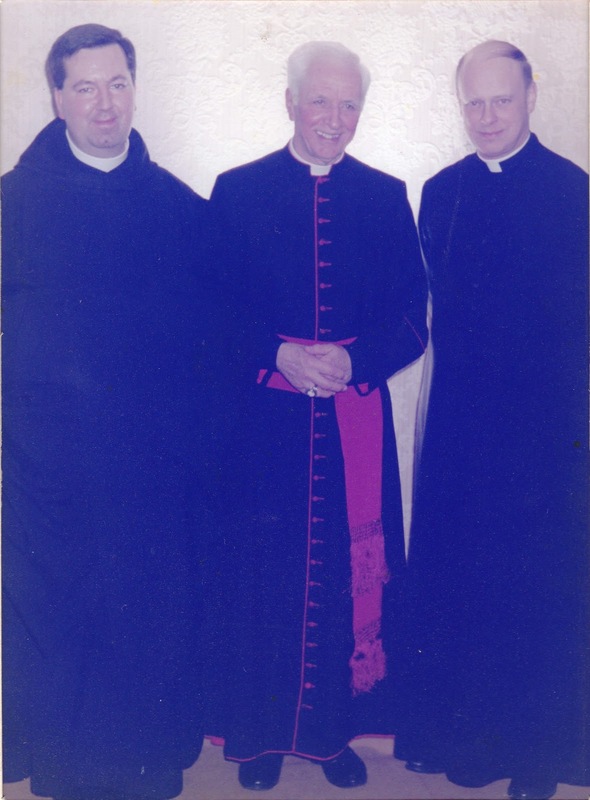 Fr Basden served in Ashford, Welling, and Maidstone, all in Kent, and was in the USA from 1993 to 1994. He was appointed to St Bede's in September 1994, succeeding Fr William Dinan where he has been ever since excluding 2013-2014 when he was on a sabbatical in the Middle East. Fr Chris left St Bede's parish on Wednesday 3rd October 2018. 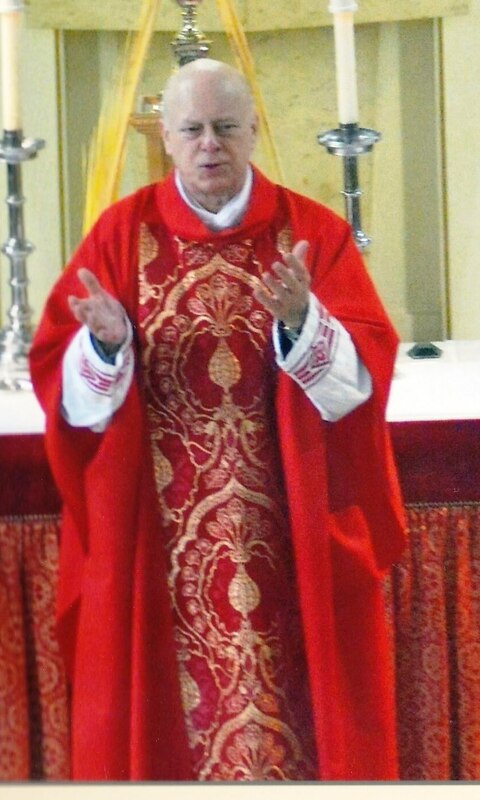 He will take up his new post as Parish Priest of SS Ethelbert & Gertrude in Ramsgate on 18th January 2019. Monsignor Leo White, Prefect Apostolic, born in Malta in 1929. 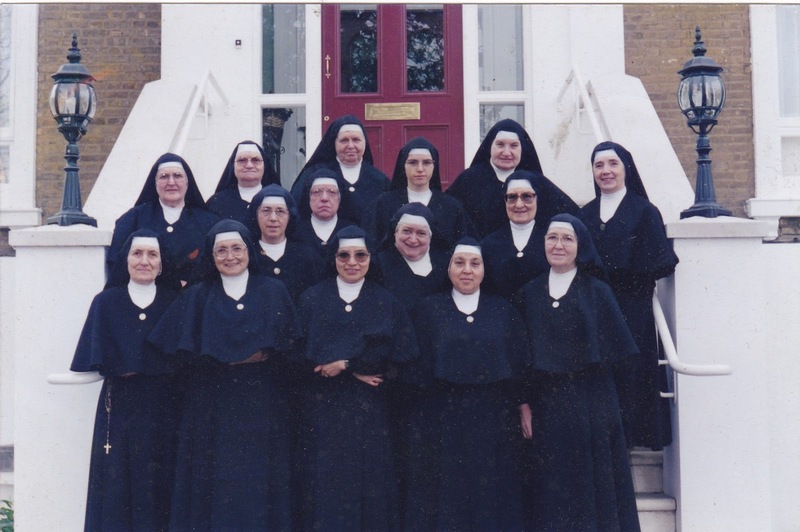 He was educated at St Joseph's Beulah Hill and in the Capuchin houses of formation. He was ordained in 1956 and then served from 1960 to 1968 a Capuchin Franciscan Friar in Columbia. 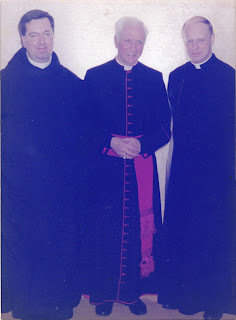 After several other apostolates including being Naval Chaplain in Valetta, he went to Kenya in 1969 and built up the Diocese of Garissa on the Somali border, where he was a member of the Kenyan Bishops' Conference before heading to America in 1984 where he was incardinated into the Diocese of Brooklyn later that year. 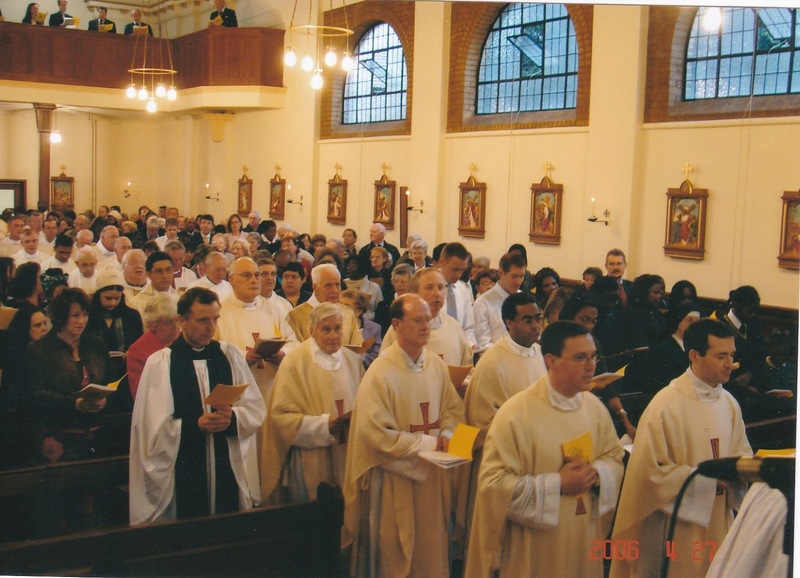 He returned to the UK 10 years later to serve at St George's Cathedral, Southwark. He was part of the clergy team at St Bede's parish from 1997 until 2001, when he retired. 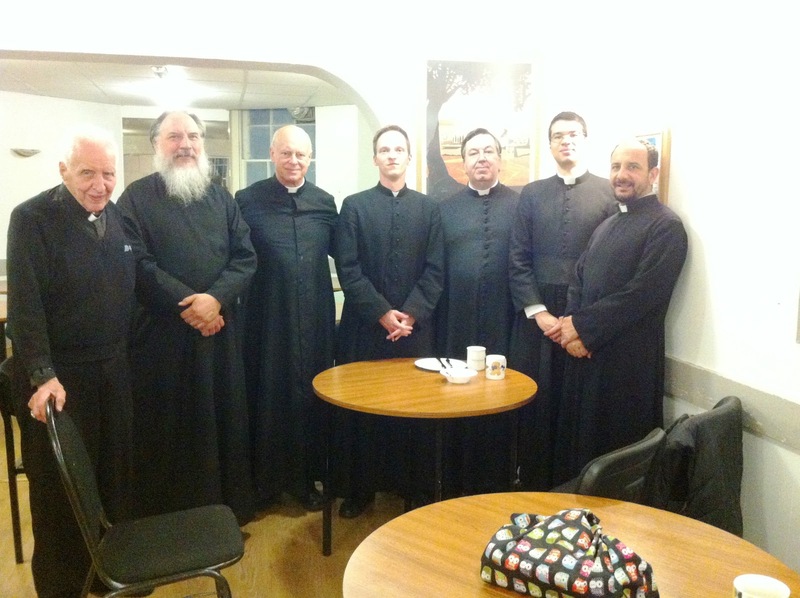 Since that time he has maintained close links with St Bede's having moved back here in 2017 and is the Chaplain to our UCM group, saying Mass for them on Thursday evenings. He also maintains close links with the Latin American community whose Saturday evening Mass he founded over 20 years ago. RIP July 2018.